Tea is trendy right now. There’s matcha, yerba mate, kombucha — and now there’s one more for the list: chaga. You might have seen chaga tea (also called chaga mushroom tea) on the menu at your favorite teahouse, or on the shelf at your local health food store. You can also find chaga (as well as matcha) in the new formulation of Shakeology, Beachbody’s superfood nutrition shake. But first, read on to find out more about this unique superfood. Chaga mushroom grows on birch trees in chilly climates like Canada and Siberia, eastern and northern Europe, and even some parts of the northern United States. It’s a type of mushroom, but it’s not a typical mushroom with a cap and stem. It doesn’t pop up from the forest floor like many more common mushrooms you might eat in, say, a winter salad. Actually, chaga looks like a charred, cracked mass, and it has a woody orange interior. If you see it growing in nature, it’ll look like a black lump on the side of a birch tree. Before you start researching “where is chaga found?” and planning your foraging trip to northern Canada, know this: Chaga is slow-growing and at risk for overharvesting, so you’ll want to learn how to harvest chaga — and it’s always wise to consult an expert before eating anything you find growing outside! Note: The chaga in Shakeology is American-grown from a supplier that is USDA organic-certified. Chaga is also called cinder conk, birch conk, or black mass, and it grows by infiltrating a wound on a birch tree. Then it creates a conk, or hardened mass made of mycelia (think of mycelia as kind of like roots of a mushroom). The conk or canker continues to grow, eventually hardening into what we know as chaga. This makes chaga a very unique type of mushroom. Chaga is the English spelling of the mushroom’s Russian name, which likely comes from the Old Slavonic word for “lip” — chaga sticks out from the tree like a lip. Chaga has a mild, earthy flavor with a hint of vanilla. You steep chaga and make it into tea, or you consume it ground or powdered in beverages. Steep small dried chunks of chaga in hot water. Strain out the chunks before drinking. Each chunk can be reused a few times, but allow it to dry fully before storing. If you want to grind those small dried chunks of chaga into powder, a high-speed blender or coffee grinder will do the trick. Steep one heaping teaspoon of the powder in hot water, then strain it before drinking. Start with ready-to-use powder, which you can buy from health food stores, then steep it in hot water to make the tea. You may or may not need to strain the powder, depending on the package directions. How long should you steep chaga tea? Anywhere from a few minutes to a few hours, depending on whom you ask, but the general rule with cooking dried mushrooms is slow and low. Some people even make chaga tea in a slow cooker overnight. 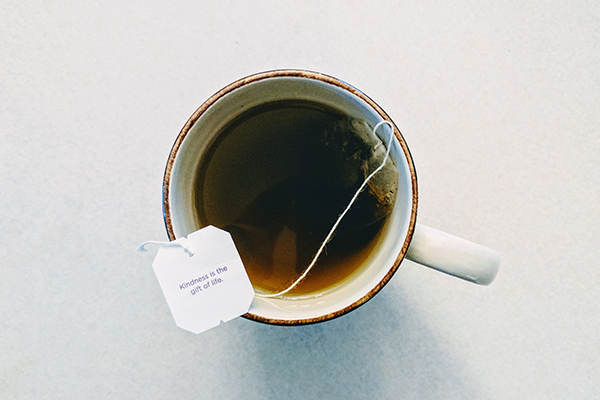 If you’re not quite ready to take on such a ritual for a simple cup of tea, you can always pick up chaga tea bags, which steep in 5 minutes. If you’re intrigued, try this recipe for Chai Tea with Chaga from Burdock & Rose to get you started. You can also start to concoct your own chaga creations. Pro tip: Chaga pairs well with flavors like chai spices, cinnamon, chocolate, peppermint, and vanilla. You might also want to try chaga hot chocolate or golden milk. Now that you know that chaga is a weird, hard-to-find mushroom, it’s time for the question on everyone’s mind: Why should I eat it? Chaga, along with other adaptogens in Shakeology, have been traditionally used to help the body adapt and respond to the effects of stress. Chaga has been used for centuries in traditional Chinese medicine and Russian herbalism. Where Can I Find Chaga? Assuming you won’t be in the forest anytime soon, you can find chaga at health food stores, vitamin shops, and online retailers. It’s available in small chunks, powder, or tea bags. Chaga is a mushroom unlike any other in terms of appearance and taste. It has been used in Siberia and elsewhere in Asia for centuries. Chaga is usually consumed as tea, and it’s tasty when paired with chai or your favorite spices. If you’re following 21 Day Fix, plain chaga tea counts as one of your coffee and tea servings (and keep in mind you can add a tablespoon or two of low-fat milk, too). But if you add other ingredients (like a full serving of milk or a dairy-free milk alternative), you’ll need to count it as a beverage or treat, if you choose to sweeten yours by blending in a date.